My poetry about flowers, faith, and family. Sometimes I feel like most of my poetry collection is just a failure of real poetry… but something in me keeps wanting to come out. So I keep picking up the pen and going back… and trying again. I have tried to give up the way of fuga and stop writing verses. But each time I did so, a poetic sentiment would tug at my heart and something would flicker in my mind. Such is the magic spell of the life poetry. I write for God, as well as for myself and sometimes other people. I write as a way to relieve stress and to process what goes on in the world. I write when I am angry and when I am happy. I write about me and my family, I write about strangers. I like to write about the beauty of nature and the ugliness of humanity. I am strong in my Christian beliefs. Because I would not be where I am today without God, I write about Him a lot. If you would like to learn more about me personally, go to this page. To look at what I’ve written you can scroll down and look through the archives, (I’ve been blogging for over 5 years) or look to the left and select a category, or you can click on a word that is tagged at the top of a post. If you would like to ask me questions you can comment at the bottom of a post or send an email to me at failingathaiku (at) yahoo.com. You can follow me on the following sites by clicking the name of the platform you use. Leave me a comment (on that site) telling me that you are a reader and I’ll follow you back! and Gravatar by clicking the profile in the sidebar. I do not share any part of your belief system, but I am happy that it works for you. Good luck and keep writing. I’m glad to hear that! I hope you like this week’s selections. I am glad you are a near-neighbor at Faith-Filled Friday so that I came by. PS…I love this background on your blog. There is something orderly about the lines yet allows the freedom to write as we write. May your day be filled with God’s blessings. Thank you, I had the same thoughts when I picked this theme. Thanks for droppin’ by neighbor! The name of your blog caught by eye as I have never been able to write haiku! You’re definitely not failing at it though. I look forward to reading more! Well thank you Lilion! 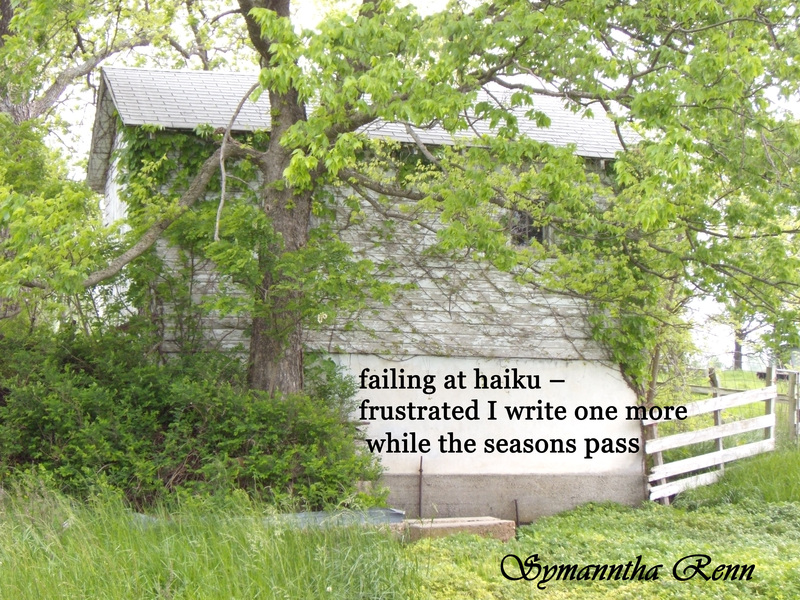 I will be posting some of my longer poems this week as well as extra haiku. I hope you like them. the fact you have any kind of poetry is amazing. i would love to be able to write it. have only written a few pieces. you are super special and have so much to share!! keep writing! every bit of it will bless someone – somewhere – and…. free your heart. Thank you for the encouragement Marie! Everybody needs a push now and then. You are a blessing!! Love ya much!! KEEP up the writing it does the heart good. Thank you Mom! I love you too. I do feel my writing is a gift from God, and a healthy outlet. Thanks for all of your comments sis Caddo! The definition of success by Ralph Waldo Emerson. I have written this to you who believe in the name of the Son of God, so that you may know you have eternal life. And we are confident that he hears us whenever we ask for anything that pleases him. And since we know he hears us when we make our requests, we also know that he will give us what we ask for. I'm a poet trying to balance motherhood, marriage, and my faith.